The holidays are upon us and that means lots of baking and gift giving. But have you ever noticed how crazy some of the packaging can be with those gifts? I mean come on, why do they have to make it so difficult to get into those toys with all the clam shells, the twisties that you can never seem to untwist, and the boxes inside of boxes inside of boxes? 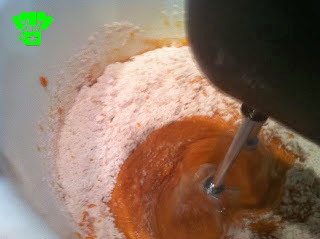 And what about all the baking? With one good baking day, my trash can can get as full as it does with all the gift wrap the day after Christmas. It's crazy. 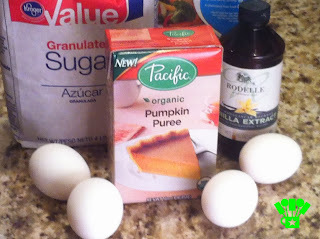 The last time I made my pumpkin bread, I had cans of pumpkin, bags of sugar, and containers of spices overflowing in the trash can. But what if we could find a way to do just one little thing each day to help with that craziness? It probably won't make a huge difference in your trash can, but if we all Become Carton Smart with Tetra Pak cartons and Pacific Foods each day, think of the difference it would make collectively. Especially if it wasn't a hard decision, but actually made things better and easier for you now AND in the long run. Tetra Pak cartons are made of 70% paper from selectively harvested, regrown trees. They use 1/3 less packaging compared to cans and are recyclable, so they result in 60% less landfill waste than those same cans. They are great for the environment, but they help you in your kitchen too! The cartons are space saving and easy to store. You can open and close them with complete ease, so they won't go to waste hiding in the back of your refrigerator or pantry. 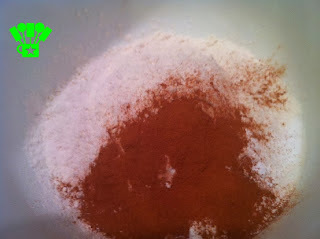 Plus, the unique packaging actually preserves the flavor and nutrients without all the preservatives. Can't beat that can you? Be #cartonsmart this holiday by Following #CartonSmart on Pinterest and Tweeting @CartonSmartTweet @CartonSmartFollow #CartonSmart on Pinterest, Then come see how the extra wonderful flavor helps to make your food taste even better. 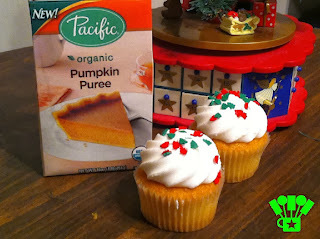 You can try one of these delicious Pumpkin Cupcakes with cream cheese frosting and Become Carton Smart today. Fill a standard Cupcake/Muffin Pan about 2/3 of the way full. 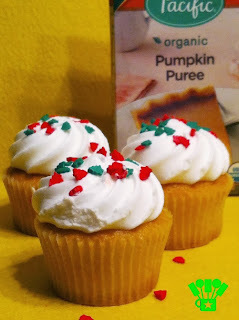 Now frost your cupcakes and try not to eat the whole batch! See don't they taste amazing? 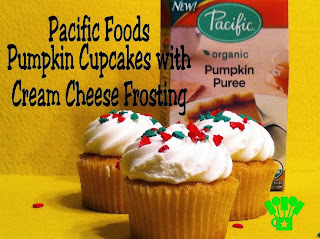 And knowing you are making one smart decision by eating these cupcakes with Pacific Food Pumpkin Puree and Tetra Pak cartons makes them taste even better! From yummy, smart recipes that use ingredients in cartons or "smart" entertaining tips that produce great tasting food with little waste, how can you be #CartonSmart this holiday season? I am going to try this! It sounds delicious and somewhat healthy! Thanks! Found you through the blog hop! THAT looks great! Thank you for sharing - and stopping by and linking up!! Thanks for sharing at the Krafty Inspiration Thursday Link Party, you have been chosen as one of the top 5 featured posts at tomorrow’s party.